With the Christmas season at the Happiest Place on Earth comes Sleeping Beauty's Castle's transformation into the snow castle. By day, it's not much to look at--the snow-capped roofs looking odd in the warm Southern California daylight. 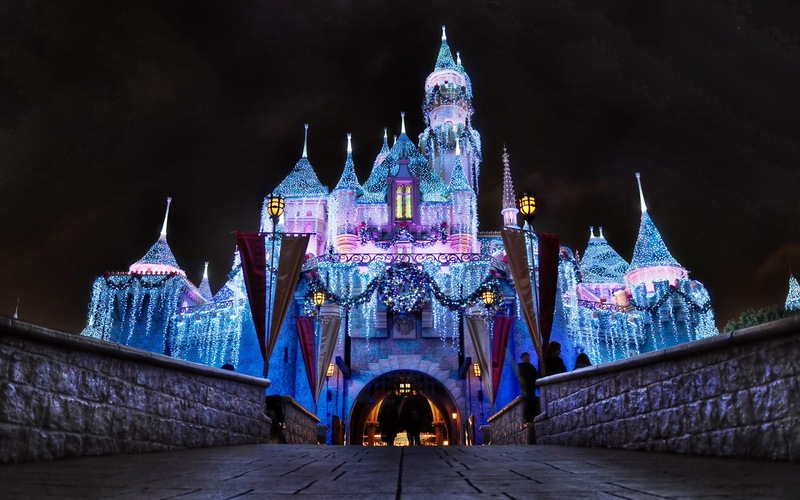 But by night, the castle transforms into a magical twinkling display of glistening icicles and sparkling lights. The snow castle comes with its own regular lighting ceremony several times an evening, and the effect is pretty wondrous, especially to first time visitors during the holidays. But it definitely conveys the wonder and spirit of the season! The glistening snow castle at night.